A mature bream has a dark back and a greenish tinge with silvery grey sides and a whitish belly. Young fish are silvery and known as “Skimmers”. Bream are relatively thin fish, but make up their weight due to the depth of their shape. The are easily identified as larger fish have a hump shape and their mouth face downwards as they are bottom feeding fish. Slow moving rivers and canals. Gravel pits, lakes and large ponds. Bream are often found feeding on soft bottoms, so muddy areas are best. They feed in shoals so if you catch one be prepared for others. Popular methods include waggler or pole fishing methods with a simple float and hook. Feeder methods with maggotts and ground bait in the feeder with maggot or corn on the hook. As they are a shoal fish, when you hook one try to throw a few maggots in to keep the other bream feeding and not spooked. A bream will often put up a good fight, but then just float to the surface ready for netting. The fish are very slimy and will leave a trail of slime in the net! The Perch belongs to the family of Perciformes – fish with spined fins. It is a hunting fish a will often feed on fry and smaller fish. The Perch has striking looks well suited to its predatory life. Its flanks are olive green with six or seven black stripes, camouflaging it among weed and reeds. Perch can be found in any freshwater system, lakes, rivers, streams, canals and ponds. The Perch is a predator and will use weeds and reeds against its colour to blend in with the environment. As the fish or bait passes by they will strike. At certain times of the year, Perch will group to feed on fry and smaller fish. Feeder methods with maggotts and ground bait in the feeder with a double red maggot on the hook. Spinning – Small mepps spinners are very good. An angler must be well versed in tying fishing knots, it’s as important a part of the armory as choosing the right bait. There are many different types of fishing knots which are effective. We will look at the top ten fishing knots. Slip Knot: Also known as a “running knot”, the function of this handy knot is to tighten whenever tension is applied to it’s line. A very useful and simple knot. Half-Blood Knot: A multipurpose knot that comes in handy in a variety of uses including: attaching hooks, swivels, and lures to your main line. It’s also known as a “clinch knot”. The strongest knot for medium size hook and line combos.e. Palomar Knot: A very easy knot that attaches the line to a hook. Tying this knot is a bit like threading a needle. A handy knot which can be learned quickly and has great breaking strength. The Knotless Knot: A beginner’s knot that should not be overlooked. This basic hair rig is very strong to the touch and can yield great self-hooking capabilities. Stop Knot: If you want a run-through float, you will need to stop it. That is where this handy knot comes into play. One of the best ways to put a halt to a run-through float without damaging it. Arbor Knot: A knot that attaches the fishing line to the corresponding fishing reel aka the arbor. It is simple to learn and quite effective. Nail Knot: A handy knot used to attach the backing and the fly line together. This knot is compact and is a very smooth option. Also useful as a float-line stopper. Needle Knot: A very uniform knot that is straight and will hold up the hook and line together quite well. It is advantageous because it makes little to no splash when it breaks water. Surgeons Loop: Generally used to produce a loop to loop combo. It can help you to create a loop that’s able move freely and naturally. This useful knot can maintain powerful and steady line strength when tied correctly. Perfection Loop: Another great loop to loop connection that’s quick and easy to employ. This option allows you to tie a loop neatly in conjunction with the standing end. Now that you are armed with a few basic fishing knot ideas, go out there and try them! Remember, practice makes perfect, and although you may not get the technique down the first time, you will eventually get it. Lob worms are the large worms with the flat tail that are found in gardens. Out of all the types of worm, this is the most natural to fish, as when it rains they get washed into the water via broken banks, fish like carp also nudge the mud around to dislodge the worm from the earth. All coarse & game fish like lobworms and due to the size of worm they can attract the larger fish. A couple of lob worm on one hook will catch carp, if game fishing for salmon, a ball of these worm ( 6 or 7 of them) on a hook works very well. They generally live above the soil surface in areas where decaying vegetation or organic materials have collected and it is this lifestyle that makes them so valuable. Lighter in colour and smaller than the lobworm, these make ideal bait for tech, perch, rudd and roach. Although all other coarse and game fish will happily eat them too. Dendrobaena are tough and the most popular worm used for fishing, they are lively, wriggle like no other worm and survive in the coldest of waters for longer. 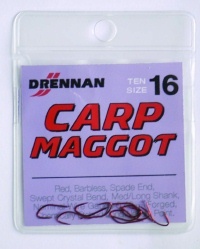 Again all fish take these, but they are an ideal bait for carp when pole or float fishing. Trout also love these too. 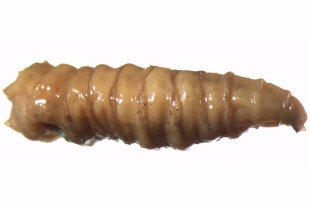 Dendrobaena worms are very easy to keep, a well ventilated tub (air holes) on all sides. Just add grass and vegetation to the tub and freshen every few days. Keep out of direct sunlight, preferably in a shed or darkish place. Lobworms are a little harder too keep, again a well ventilated tub is a must, top up with the earth where you found the worms. Change the earth every few days. Make sure the soil is PH neutral or they can can die pretty fast. You may also add damp newspaper to the mix. When taking the worm for a fishing session, use a ventialated tub, but just use grass and moss. This toughens the worms skin, making them easier to handle and hook. Feed Dendrobaena and Lobworms mashed potatoes and potato peelings. They will also eat leaves and vegetation. The best place to keep compost worms, is on the compost!! So after your fishing session, just return them to the compost heap. Tip:I start off by buying worms from the local fishing shop (all varieties) and then release them into the garden where the soil is vegetated (composting leaves and other dying vegetation). Worms kept in a tub are very hard to breed, so releasing into the natural conditions help them breed. I then take enough into storage to keep me topped up for a weeks or two fishing. Any left over I release back into the natural environment and dig for a fresher batch. The ones released have time to recover and breed – the cycle repeats itself so you always have fresh worms, and with them breeding in their natural environment you will save money buy ordering less in the future from the tackle shop. The New carbonite seat box is one of the best value match or general course fishing box on the market. The box is fully loaded with extras, and available at an unbelievable price!, click the buy now button for a competitive price. The box comes complete with a solid square leg frame system with adjustable legs and flexible mud feet. 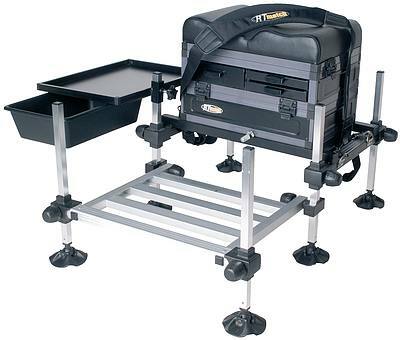 Also included is a folding footplate with adjustable legs, side tray with a sliding accessory bowl that slides neatly under the main box and locks in place. There is a magnetic 3 drawer system and the comfy pole seat also doubles up as a pole winder tray. The main box has a deeper padded section for even more accessories and the soft padded strap will ensure comfort, all the way to your peg! will be standing at a riverbank, consider investing in a pair of wade fishing boots. surfaces. Most importantly, they won`t come off if your feet sink into mud. British weather is so unpredictable, choosing a waterproof pair would be sensible. you started, but you will no doubt want to invest in more equipment as you improve. will need to buy a selection of smaller boxes to keep all your small items separate.